PM Modi in Ghazipur: Om Prakash Rajbhar, a senior minister in the Yogi Adityanath government, said that he will not attend PM Narendra Modi's programme. Amid growing pressure from partners in the ruling alliance, Prime Minister Narendra Modi is in Varanasi and Ghazipur today, the areas where two NDA allies have considerable influence. 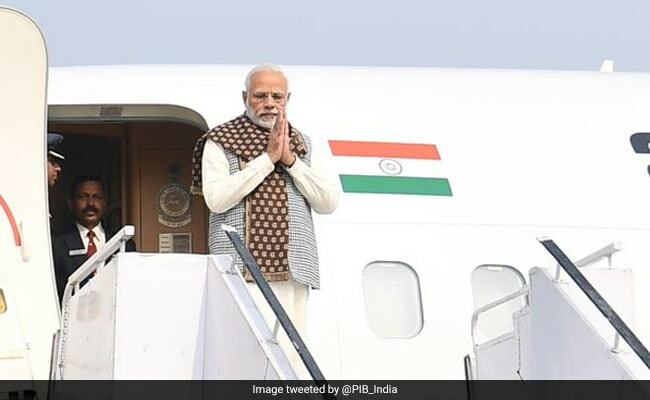 PM Modi's trip to his Lok Sabha constituency Varanasi is his second visit there in the last two months. A commemorative postal stamp on the Maharaja Suheldeo was released by PM Narendra Modi in Ghazipur where he also addressed a public rally. However, senior minister in the Yogi Adityanath government and Suheldev Bharatiya Samaj Party president Om Prakash Rajbhar, a legislator from Zahoorabad assembly constituency in Ghazipur district, announced that he will not attend PM Modi's programme. Another problem of the BJP has arisen with the Apna Dal (S), which is represented in the Union government by Anupriya Patel, a parliamentarian from Mirzapur. Ashish Patel had recently alleged at a press conference in Mirzapur that smaller parties were feeling "ignored" by the bigger NDA partner -- the BJP.